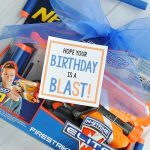 A Peek at the Fun: Looking to ring in the New Year with a bang? 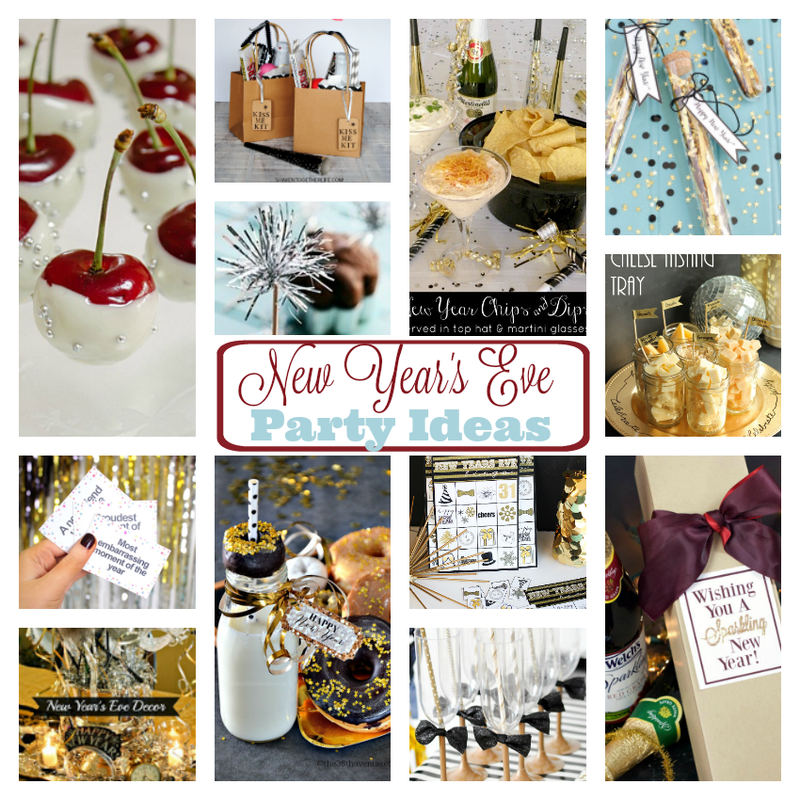 These simple New Year’s Eve Party Favors will help you celebrate with flare, fun, and style!! 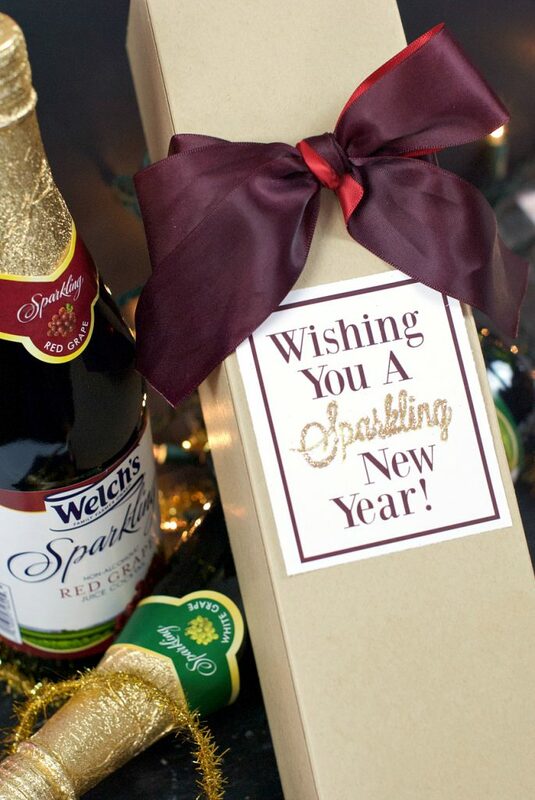 We are definitely big believers in celebrating the New Year right! Getting together with our families and friends, eating way too much food, playing games, and having so many laughs as we countdown our way to the New Year is our kind of heaven. 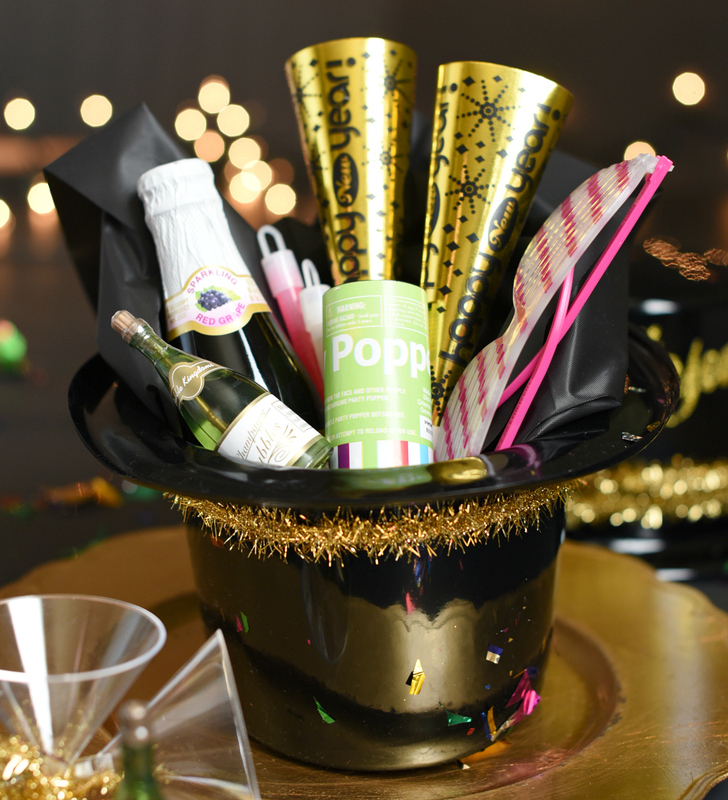 These simple New Year’s Eve party favors add such a fun flare to any New Year’s celebration we couldn’t resist. 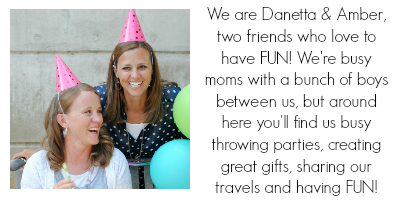 We have all of the details for you! We had so much fun as we browsed our way through Oriental Trading looking for New Year’s Eve party supplies. 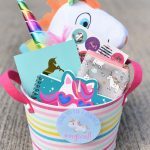 With so many fun things to add to our party favors it was hard to narrow down our options. Seriously, these top hats…we are in love! 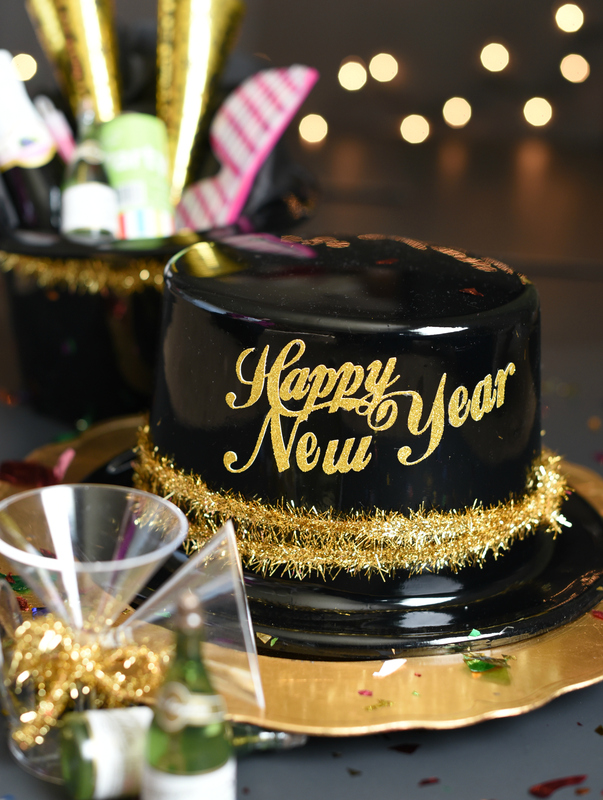 We wanted to dress up our top hats by adding this “Happy New Year” script. It was super simple to cut out with gold sparkly card stock, and then we glued it right to the hats. 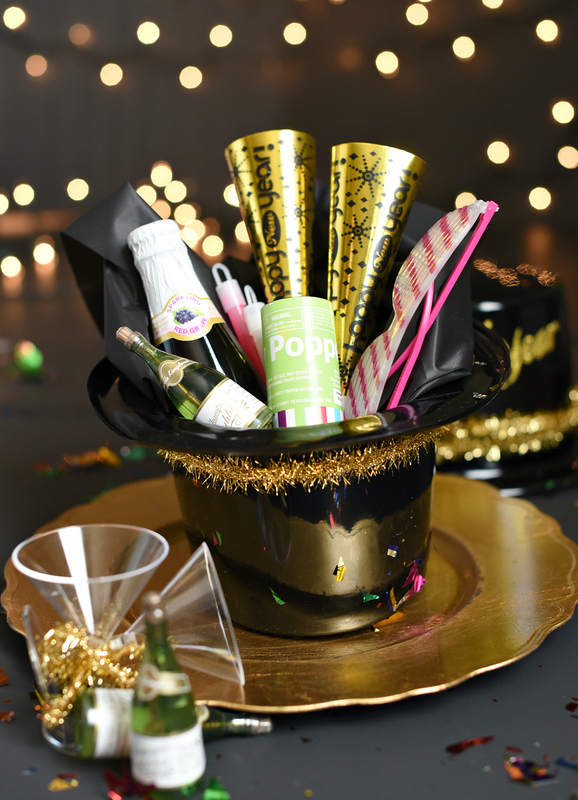 Add this festive gold ribbon, and these hats are ready to party with you all night! 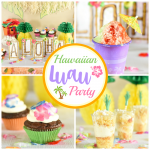 These are super simple to put together, and will be such a fun addition to your party. 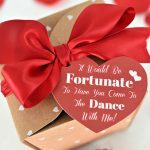 And what an awesome surprise for your guests when they show up and have these fantastic New Year’s Eve party favors waiting for them. All that’s left to do, is start the party!! 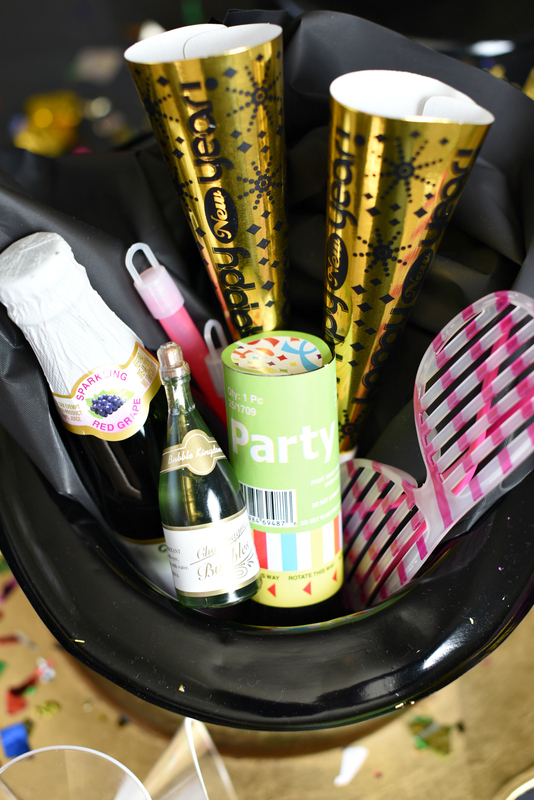 Have so much FUN at your New Year’s Eve party!